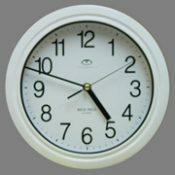 Moisture and splash resistant clocks are ideal for spa, pools, and boats. 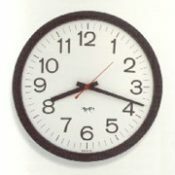 10″ Analog Water Resistant Clock: front and back rubber gasket, twist flange, GLASS lens. 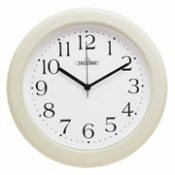 5″ Analog Water Resistant Clock With 3 Point Wall Mount, White Case. 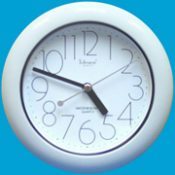 Sweep Second hand on center dial.